I know, it's been sadly quiet over here. And I'll I have is the same old excuse, school. I feel very thankful that it is my last semester but a little overwhelmed with the work before me. So please hang in there with me as I tackle on this last semester - the blog has kind of been forced to take a small back seat and my time for recipe creating is limited. Doesn't mean I'm still not itching to put some creative juices into new recipes. Of course, my newest recipe stars my favorite food, pasta. Did you know I love pasta? All you have to do is scroll through my blog Pinterest page to see ALL.THE.PASTA. 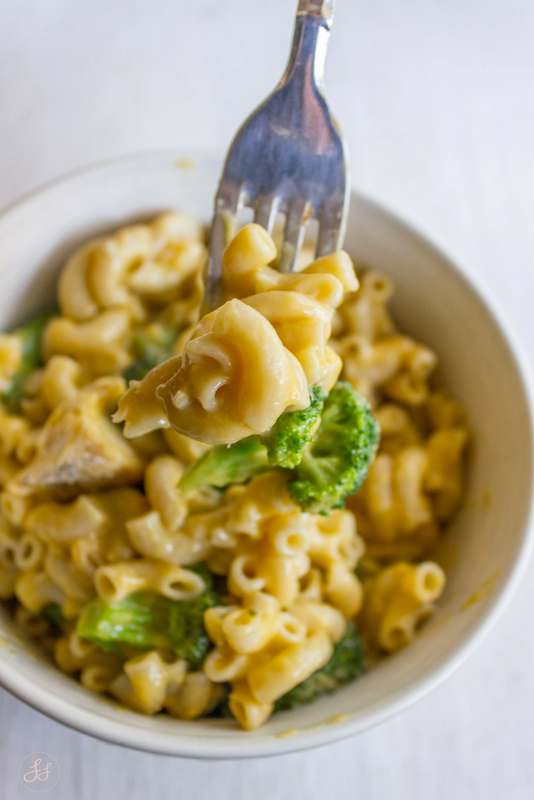 I love this recipe because of its creamy, cheesy, and (somewhat) guilt-free. It's can be made Vegan and is Gluten and Dairy Free (per the normal). It's a great comfort meal as the crisp fall air settles in! In a large pot, cook your pasta.When your pasta is 3-4 minutes from being done, add in broccoli. Drain noodles and broccoli and set aside in the large pot you cooked them in. In a medium pan, melt butter. Add flour and cook/stir for 1 minute Slowly whisk in milk and chicken broth and season with garlic powder, salt, and pepperStir consistently till mixture thickensRemove from heat once thickened and add Cheddar Cheese and mix till melted. 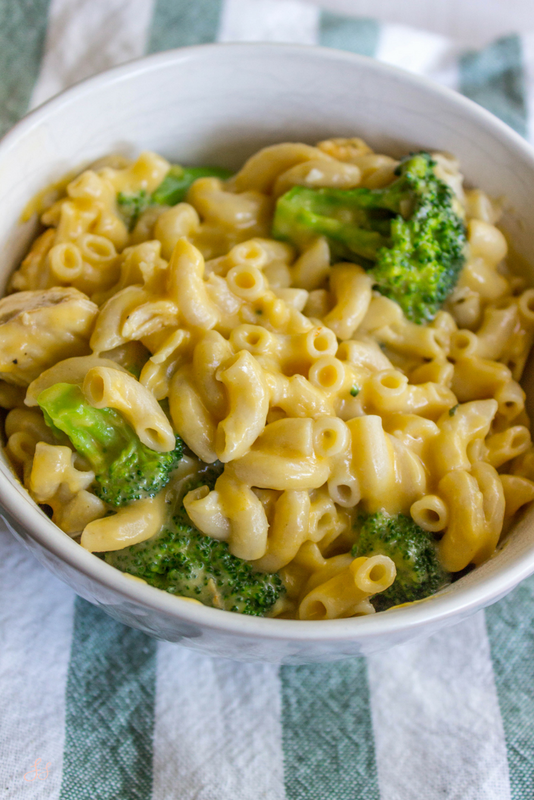 Add, your cheese sauce to the pasta and broccoli in your large pot. Serve in a bowl and enjoy! *In the photo you may see bits of chicken, I added those in later and you can obviously do not need to add in chicken if you are completely vegan.